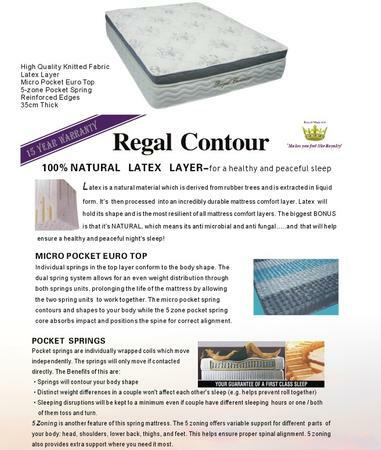 The Regal contour mattress has a 100% NATURAL LATEX LAYER- for a healthy and peaceful sleep offers optimal support and provides excellent air flow. As well as a supportive sleep surface. It is durable, naturally anti dust mite and anti bacterial.